Upon questioning, he reported experiencing recurrent episodes of abdominal pain for 2 months. Abdominal ultrasonography demonstrated dilatation of the left common iliac artery and left common iliac vein. 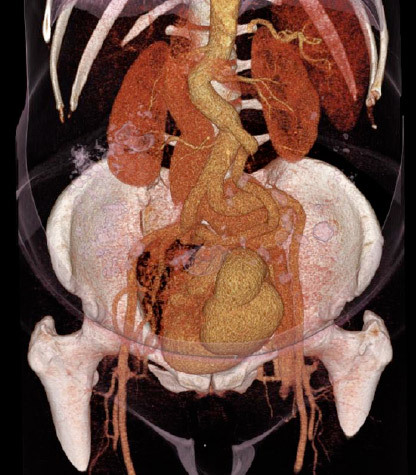 Contrast-enhanced MDCT of the abdomen and pelvis was performed to look for an aortic or iliac aneurysm.